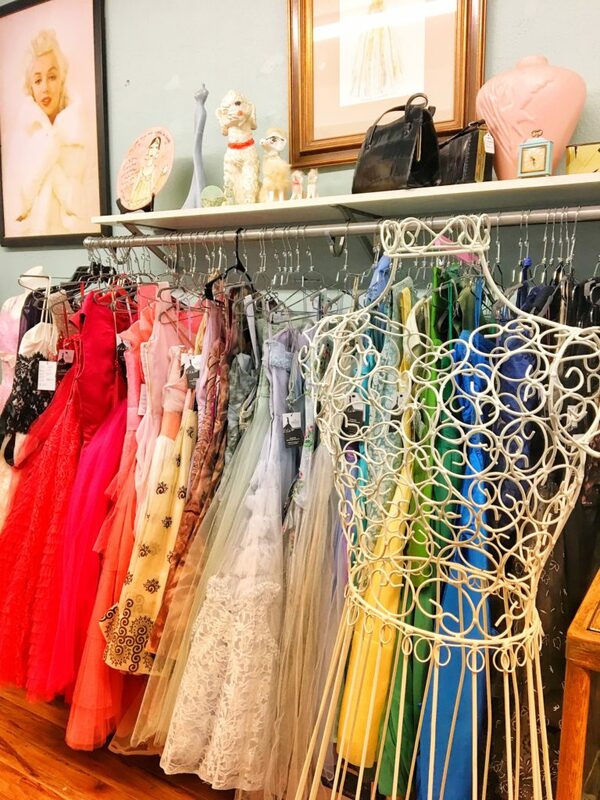 Dresses, dresses, dresses at this gem of a vintage store in Beaverton, Oregon. Check them out next time you have a special occasion. I’ve been really impressed with downtown Beaverton lately. There are a number of really nice restaurants there now (not chains!) and a handful of cute stores. Among those The Vault is one of the best. Except for a few pieces of art, this shop is primarily for the ladies. 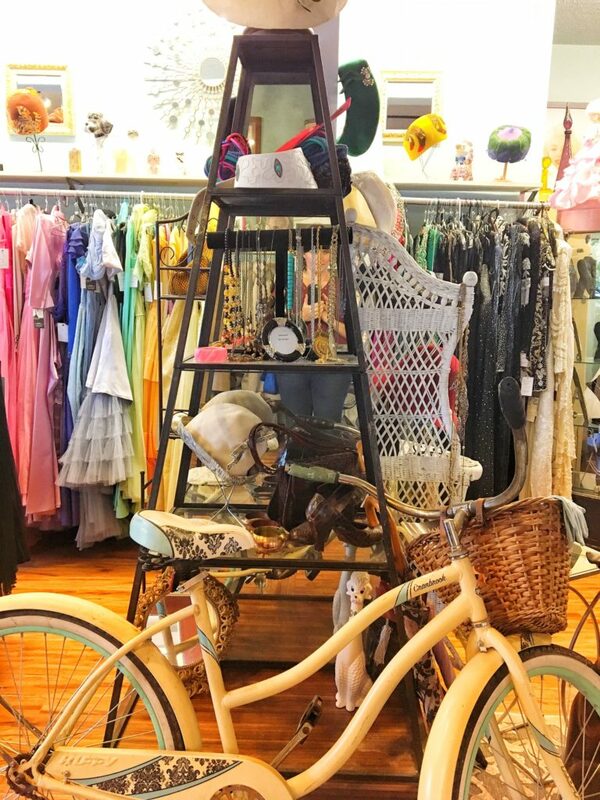 It’s packed with two floors of vintage dresses and accessories. Gorgeous, high-quality pieces from the 1940, 1950’s and 1960’s, with hats, gloves, sweaters and jewelry to match. They have a wide variety of sizes and styles so you should be able to find something be it for a holiday party, special event or wedding. What’s more, this store is owned and operated by women! A mother daughter team who are absolutely lovely, and so helpful! Even though you’ve never met before, they make dress shopping feel like an afternoon out with your lady friends. Plus, they bring their dogs to work with them, so you might be greeted by a pooch at the door. I visit a lot of vintage stores around town, but this is the best one I’ve seen specifically focused on dresses. Bottom line: If you are in need of a statement dress, make the drive out to Beaverton to check them out!